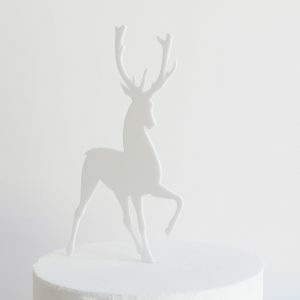 Hop on this year’s most festive trend with our Reindeer Antler Cake Topper Set – Rudolf would be grinning ear to ear. 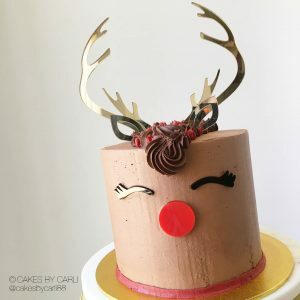 Simply insert the antlers and ears on top of your cake and adhere the eyes and nose to the front of your fondant covered cake with some Royal icing. 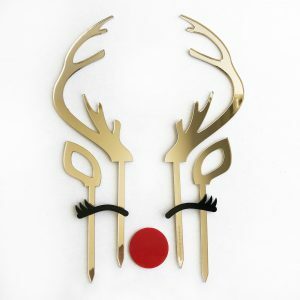 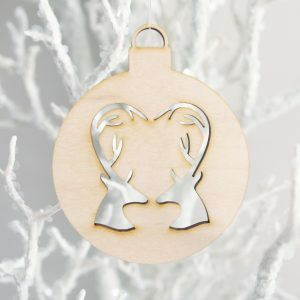 Available with gold mirror acrylic antlers and ears, silver mirror acrylic antlers and ears or maple timber (unfinished) antlers and ears. Each antler is 8.2cm wide x 25.5cm long including a 10cm spike in 3mm gold mirror acrylic, silver mirror acrylic or maple timber (unfinished). 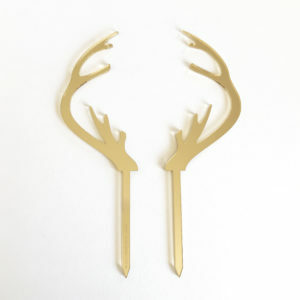 Each ear is approximately 3.8cm wide x 13.6cm long including a 9cm spike in 3mm gold mirror acrylic, silver mirror acrylic or maple timber (unfinished). 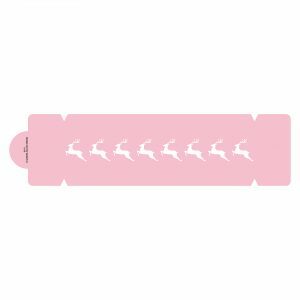 Each eye is approximately 5.1cm wide x 1.8cm high in 3mm black acrylic. Nose is 3.7cm in diameter in 3mm red acrylic. A huge thank you to Cakes by Carli for supplying an image of her gorgeous reindeer cake – check out her work here!